Another plus for Finnish-French relations: Latvala and Anttila’s second success of their career on asphalt was another remarkable story. At the fastest asphalt rally of all time – in Alsace in 2014 – the Volkswagen duo brought to an end a 15-year barren stretch for the proud rallying nation of Finland, who had had to wait a decade and a half for one of their countrymen to win again on this surface. Not only did they repeat the feat this time around, but they also showed their pace on what were probably the toughest conditions seen in recent years, and at a Rally France with an extremely diverse character. In doing so, they cut the gap to just one victory in the long-running battle between Finnish drivers (175 wins) and their French counterparts (176 ). Latvala/Anttila are only the second Finnish duo ever to win a World Championship event on the Mediterranean island, following in the footsteps of Markku Alén/Ilkka Kivimäki (1983 and 1984). A dozen times on the podium: Andreas Mikkelsen and Ola Fløene continued their extremely impressive season with their seventh podium of the year in France. 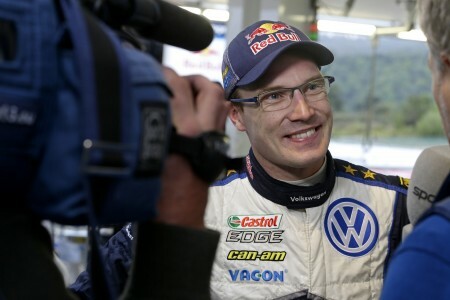 In doing so, they stayed in touch with their Volkswagen team-mates Latvala/Anttila to keep alive any hope of finishing runners-up in the World Championship. Seven podium finishes in the past eleven rallies this season – only reigning world champions and champions* elect Ogier/Ingrassia have been involved in the traditional champagne shower more often, having stepped onto the podium on nine occasions. 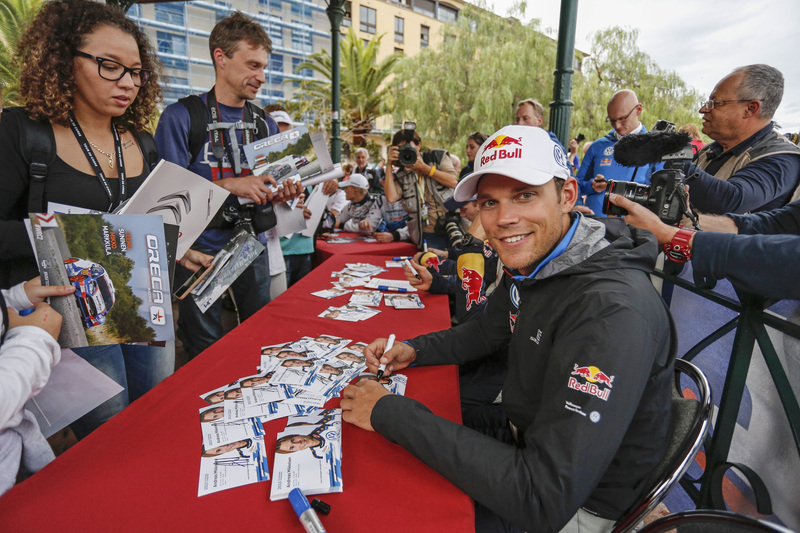 With two rallies remaining this season, Mikkelsen/Fløene in third place now trail Latvala/Anttila by 34 points. A maximum 28 points are on offer at each round. 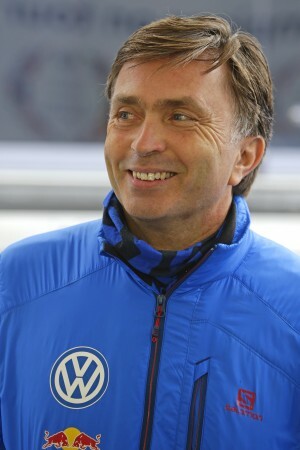 At the same time, they were able to extend their lead over fourth-placed Mads Østberg/Jonas Andersson (N/S, Citroën) in the Drivers’ and Co-Drivers’ Championship to 28 points. After their “black Friday” – at their home rally, of all places – there was some small consolation for Sébastien Ogier/Julien Ingrassia on Corsica, in the form of victory on the closing Power Stage. 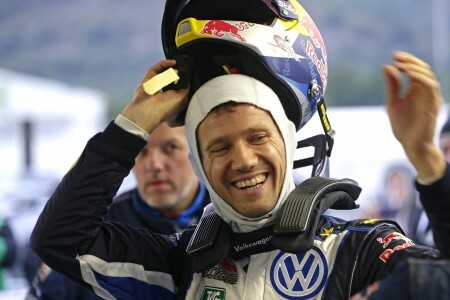 This sort of happy ending is truly Volkswagen’s domain and, above all, a speciality of Ogier/Ingrassia. For the 25th time in their career they picked up the maximum three bonus points on the final stage of the rally, on which, since 2011, the three fastest crews are rewarded with extra points towards the Drivers’ and Co-Drivers’ Championship. 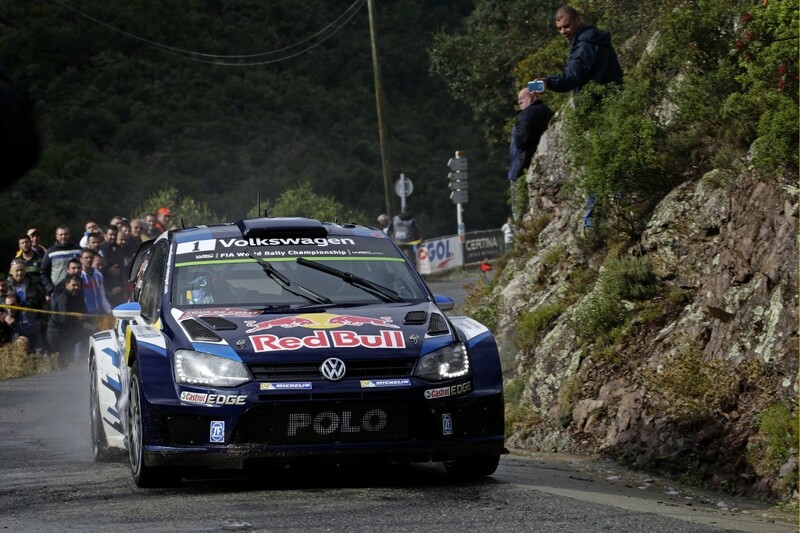 On 22 of these 25 occasions, Ogier/Ingrassia were at the wheel of the Polo R WRC. 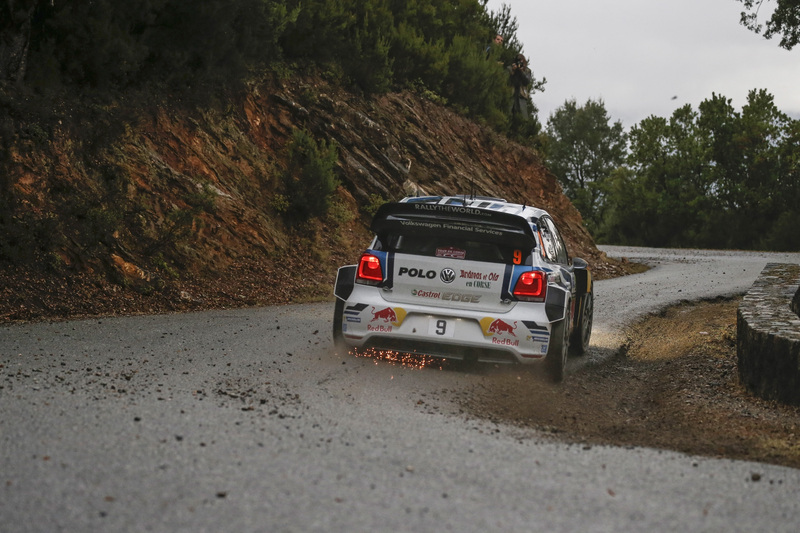 Ogier/Ingrassia had initially suffered a set-back on Friday, losing about 1.40 minutes due to a slow puncture. Their misery was then compounded by a ten-minute penalty for re-joining the race under Rally 2 regulations after having to change the gearbox outside of the regular service. Although this dashed any hopes of finishing in the points, they did go on to win the longest (SS6, “Muracciole–Col de Sorba”, 48.46 km) and the fastest (SS7, “Sotta–Chialza”, average speed of 103.68 km/h) stages of the rally. Their Volkswagen team-mates also picked up a bonus point: Jari-Matti Latvala and Miikka Anttila finished third on the Power Stage. 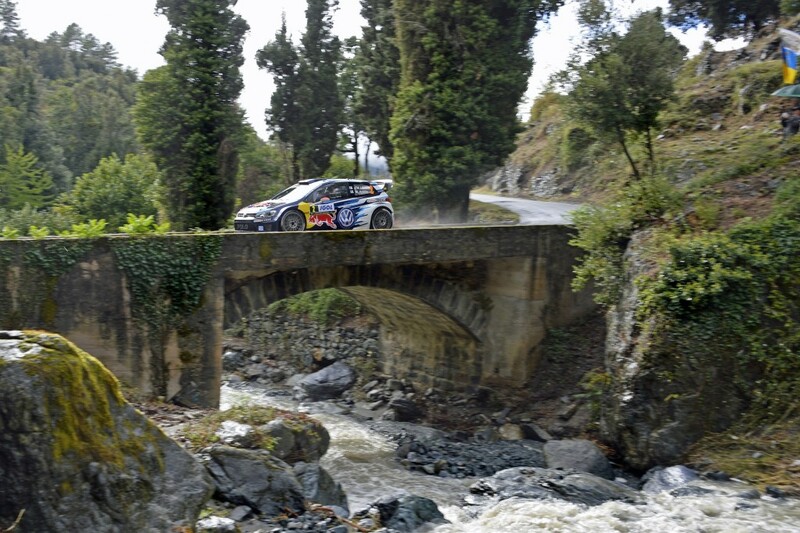 Two of the nine special stages were cancelled due to landslides, while up to 361 litres of rain fell on Corsica during the Rally France – the teams and drivers were constantly battling extreme weather throughout the three days of the rally. Friday was dominated by a hurricane and heavy rain, while the mud-covered asphalt stages made life difficult for the drivers and co-drivers on Saturday. On Sunday, the biggest challenge facing the crews was a route that was damp in some places, dry in others, and was gradually drying out over the course of the day. The Volkswagen drivers primarily put their faith in the softer Michelin tyres, while the opposition opted for more of the hard compound. And the decision proved to be the correct one: Latvala/Anttila extended their lead by over 40 seconds to 43.1 seconds on the final day – with 94.91 kilometres against the clock the longest of the rally. Meanwhile, Mikkelsen/Fløene cut the gap to second-placed Elfyn Evans/Daniel Barritt (GB/GB, M-Sport-Ford) by 30 seconds to just 3.2 seconds. 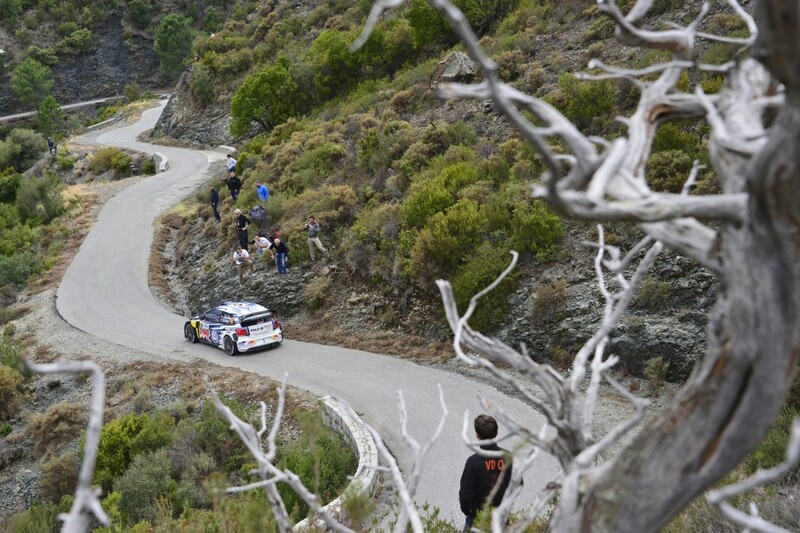 Corsica was the shortest WRC rally ever. Landslides forced the organisers of the Rally France to cancel two special stages – the two scheduled runs of “Casamozza–Ponte Leccia” on Friday and Saturday, each of which would have been 43.69 kilometres long. 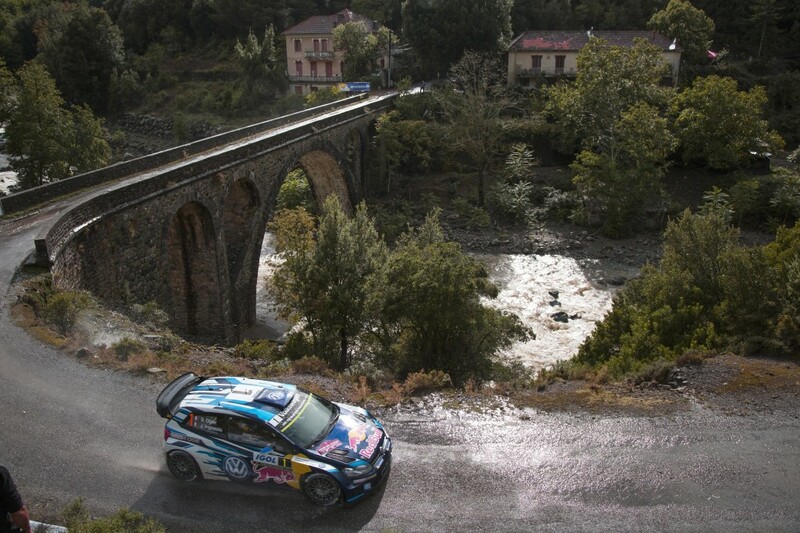 As such, the rally on Corsica was reduced to 245.35 kilometres against the clock. Before this weekend, the 2007 Rally Argentina (248.90 kilometres) and the 2011 Rally Jordan (259.56 kilometres) were the shortest races in the history of the World Rally Championship. My Backyard Is A Racetrack! ← Previous Post: What Should VW Do With It’s Diesels?